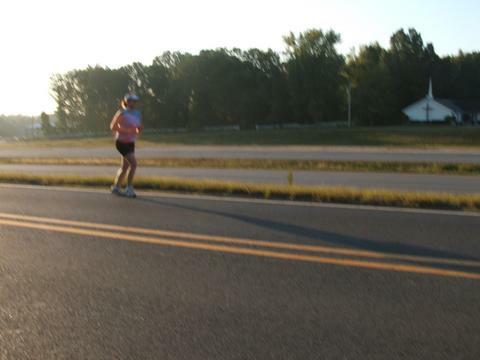 I read a couple of great posts this week from people getting ready for upcoming marathons. To help them get through and personalize the race, they are dedicating each mile to someone special in their lives, whether is a co-worker, family member, fellow blogger, or whatever. Marcie at The Lazy Girl's Guide to Marathon Running split up her miles in groups from beginning to end and dedicates a couple of miles at the end to herself--a great idea! Amanda at Run to Finish broke up her half marathon into miles for friends and family. I think I'll borrow (steal) their ideas for my marathon in February. There's something about thanking the people that helped to get you there that just makes the race all the more worthwhile and so much more of a team event. Great posts, ladies! That's a great idea - I like it! And thanks for your message - it helps.. Cool idea! Isn't this exchange of ideas through our blogging a great thing! This is an excellent idea that I, too, will have to steal! 26.2 is a long way... breaking it up with specific thoughts seems like it might help!